They bring dirt in and build up the property, good for them but bad for neighbors. I get where you are going with that, but as long as the fill dirt to elevate the new homes comes from the site itself, and isn’t trucked in from elsewhere, the impact on surrounding buildings should zero out. That doesn’t include the fact that new building leaves less ground to absorb rainfall, but that’s an age old issue. 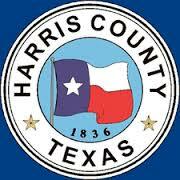 1989 , Art Storey takes over Harris County Flood Control, sold all the equipment,laid off 600 people and said we are going to contract digging. Most all ditches were desilted regularly. This auction netted 3 million on used equipment, no wonder we are flooding. Where are the contractors digging all the ditches. Lets plant trees instead of cleaning ditches. Look at any Flood Control ditch in your neighbor hood and see if it needs cleaned.